WASHINGTON — With shutdown negotiations deadlocked, the White House planned further meetings with rank-and-file lawmakers Wednesday, as the Trump administration acknowledged the prolonged standoff over his border wall funding demands is having a greater economic drag than previously thought. President Donald Trump has invited a bipartisan group of lawmakers known as the Problem Solvers caucus to talks, but it was far from clear the session would yield a breakthrough on the shutdown’s 26th day. The president’s economists, meanwhile, said the shutdown was having a greater impact than previously projected. White House spokeswoman Sarah Huckabee Sanders told reporters Wednesday that the economy remained strong. Trump has not moved off his demand to have Congress provide $5.7 billion to build his promised border wall with Mexico. Democrats say they will discuss border security once the government has reopened, but House Speaker Nancy Pelosi is refusing money for the wall they view as ineffective and immoral. With some 800,000 federal employees furloughed or working without pay, Trump suggested the partial shutdown, which has clogged airport security lines and shuttered federal agencies, was going smoothly. Behind the scenes, though, the administration — and its allies on Capitol Hill — are warily eyeing the next payday, hoping to reach a resolution before next week’s Tuesday deadline, when they’ll need to prepare the next round of paychecks for workers who have been seeing zeros on their pay slips. With some 800,000 federal employees furloughed or working without pay, Trump suggested the partial shutdown was going smoothly. 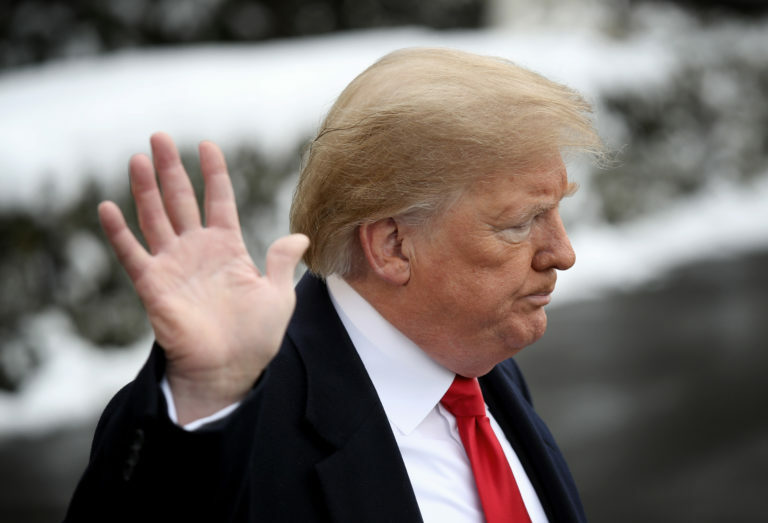 Trump, who a week ago seemed intent on declaring a national emergency in order to build the wall, has turned his attention back to Congress as polling shows he is taking much of the blame for the standoff. Trump ended up lunching with a handful of lesser-known House Republicans. 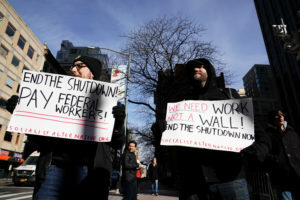 Meanwhile, the effects of the partial government closure intensified around the country, with workers facing deepening anxieties about mortgage payments and unpaid bills.